There are a lot of thoughts and questions racing through your mind and confusing may reign supreme, but you know one thing: it’s time for your relationship with your spouse to change. Depending on your own values and needs, there are a variety of options for you to explore with an experienced family law attorney. At Corriveau Family Law, in Northville, Michigan, we will help explore all your their family law option. We will work closely with you to find amicable solutions that meet the unique needs of your family. For people looking to end their marriage, a divorce is often the most effective option. The truth is that people rarely separate and then reconcile. Rather than going through the expense of a legal separation before divorcing, it may be easier to go through the divorce process now so you can move on and create a new life for yourself. There are certain advantages to having an annulment. If you think of marriage as a contract, an annulment can be used to void the contract, striking your marriage from your record. These are typically attractive for a spouse who find out their husband/wife are not who they thought they were. At Corriveau Family Law we can discuss whether this is an option for you. Prenuptial and postnuptial agreements are great tools for protecting your assets, particularly in a second marriage where children are involved. If your current marriage involves one of these agreements, we may be able to help you challenge it in court. If not, we can explain to you how planning for a divorce or separation may help a troubled marriage. 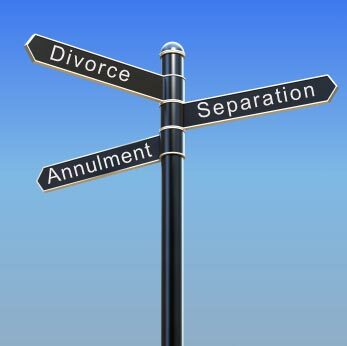 Considering a divorce? Don’t go it alone. Call 248-380-6801 or fill out our contact us formto schedule a free initial consultation with a dedicated family law attorney.